Organize your home and kitchen with this contemporary and stylish 3 piece canister set. These storage containers are made out of a unique material called bamboo fiber. This means you can feel good about your purchase knowing you are helping out the environment by using this eco friendly and renewable material. Each canister set includes 3 different sizes for easy identification and storage. No more coffee jars, sugar packets or tea bags messing up your kitchen. 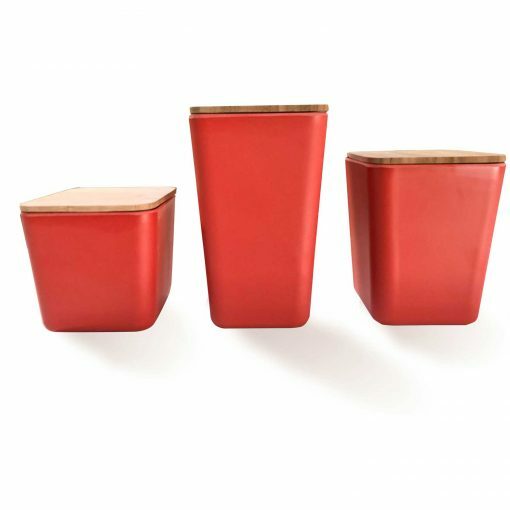 You can store this plus anything else you can think of in these very sleek canisters. 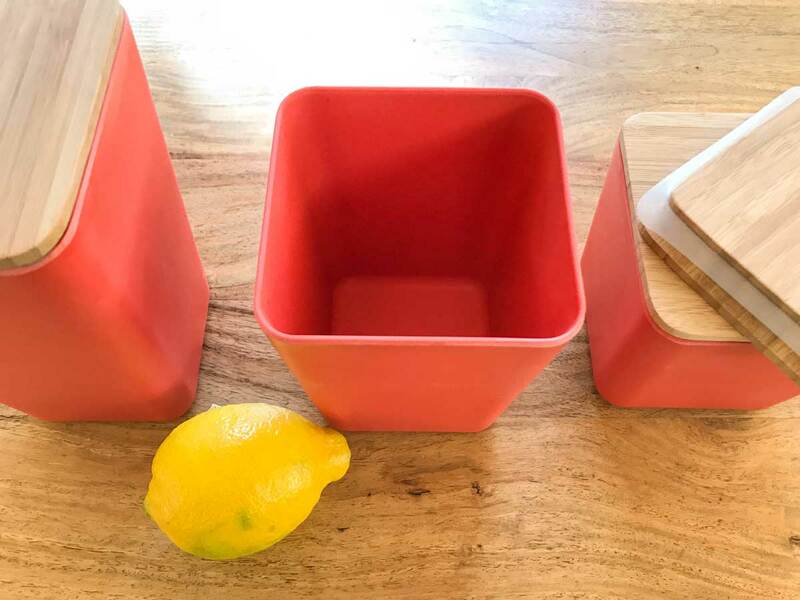 These containers feature an attractive bamboo lid with a food grade and safe silicone liner to keep your contents fresh and airtight. The silicone liner is REMOVABLE and easily comes off in case you want to wash under water. Although these are ideal for the kitchen, you can also use this versatile set in your office to store pens, pencils or paper clips. Even take it to the bathroom to organize your vanity. The possibilities are endless. The base of the canisters are dishwasher safe (not the lid). The lid we recommend wiping with a cloth to maintain the original bamboo shine. 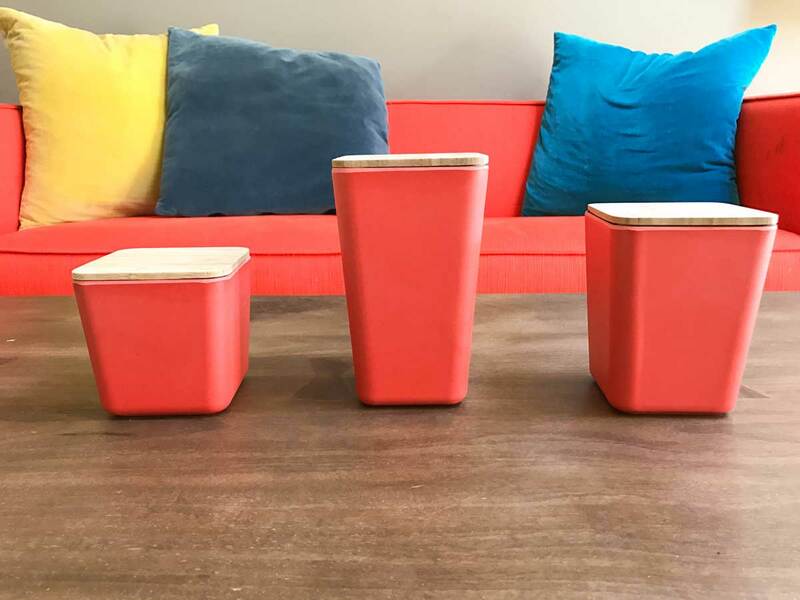 The set includes 3 canisters, each a different height. The large is 7″ tall (hold approx 5 1/2 cups). 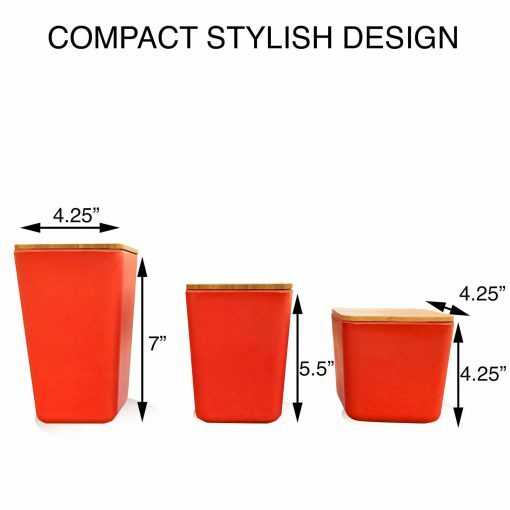 The medium is 5.5″ tall (hold approx 4 cups) and the small is 4.25″ tall (holds approx 3 cups). 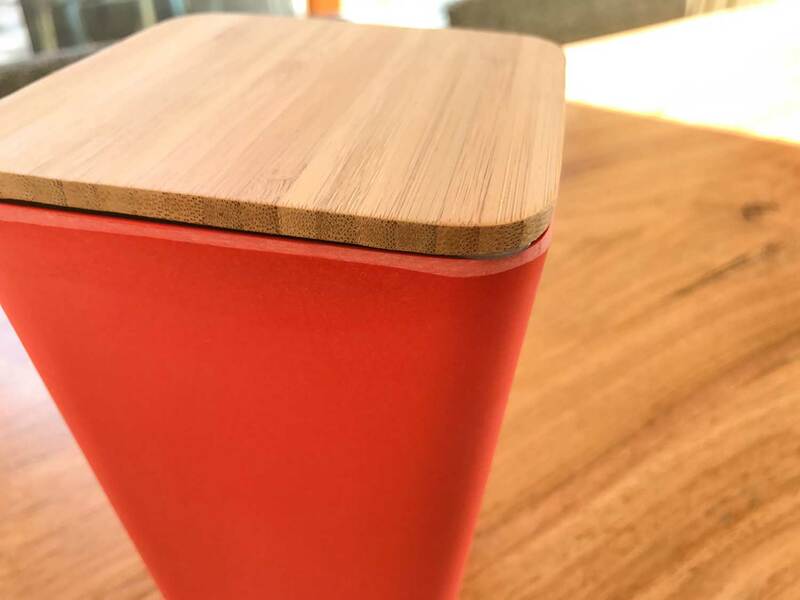 The bamboo lid and opening are 4.25″ by 4.25″. COLOR is RED. Please note the tone of red may look different on each person’s computer screen. Makes the perfect gift. ADD TO YOUR CART now.